Acres magazine is published monthly by Acres U.S.A., which was established back in 1971. This monthly magazine, known as the Voice of Eco-Agriculture, carries these pithy words of its founder Charles Walters (1926-2009) on its masthead: To be economical, agriculture must be ecological. 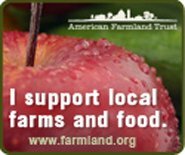 For more than four decades, the magazine has sought to help farmers, ranchers and market gardeners grow food organically, sustainably, without harmful, toxic chemistry. Each issue of the magazine is worthy of a careful reading. In a recent issue, a profile of Tenera Grains in Addison (Lenawee County), Michigan caught our eye. Brad and Diane Smith decided a few years ago, when corn prices slumped, to diversify their crops grown on their seventh-generation crop farm. 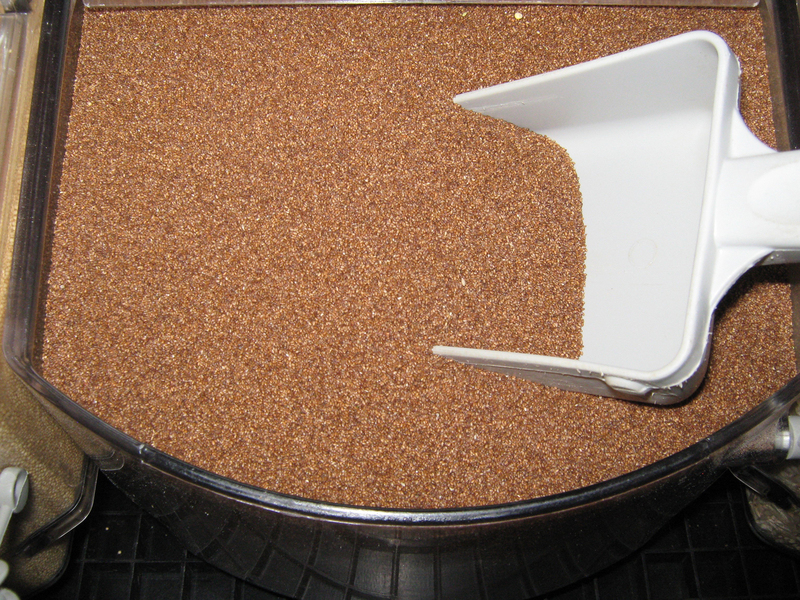 A friend from Ethiopia suggested that they might try growing the world’s tiniest grain teff. The cultivation of teff is believed to have begun between 4,000-1,000 B.C.E. in Ethiopia and Eritrea. The Oldways Whole Grains Council notes in an article on Tenera Grains, that just one handful of teff seeds is enough to plant an acre and that it can grow from sea level to as high as 3000 meters of altitude and can withstand both droughts and waterlogged soil conditions. It seems likely that this resilient crop will become much more important as effects of global warming become more pronounced. And the reliable and go-to cookbook, Joy of Cooking by Irma S. Rombauer, Marion Rombauer Becker, and Ethan Becker (New York, NY: Scribner, 1997), sings the praises of this flavorful staple grain of Ethiopia, where it is turned into a spongy flat bread called injera: It smells like molasses while cooking, and if mixed with butter, it tastes like cake. Only the size of celery seeds, the iron-rich kernels have a high surface-to center ratio, which makes them high in fiber. In the United States, teff is sold as a flour, in a pasta, and as a whole grain. 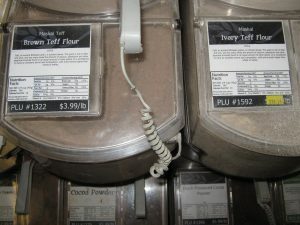 This website’s directory of artisanal grains and flours, not part of the commodity grain trade, has three listings of sources of teff for the consumer market: (i) teff flour from Grist and Toll, based in Pasadena, California, (ii) brown teff flour from Camas Country Mill based in Junction City, Oregon; and (iii) brown and ivory teff flours and Teffola, a nutty teff granola, from Tenera Grains in Addison, Michigan. The cookbook Joy of Cooking also includes a creative suggestion from food writer Nao Hauser to cook up the teff grain into a porridge (with three parts water to one part grain), and then spreading it into a baking pan while warm, refrigerate, cut into slices or triangles and bake or fry like polenta toast.